Check out the 2015 Ford F-150 in Conway, SC! 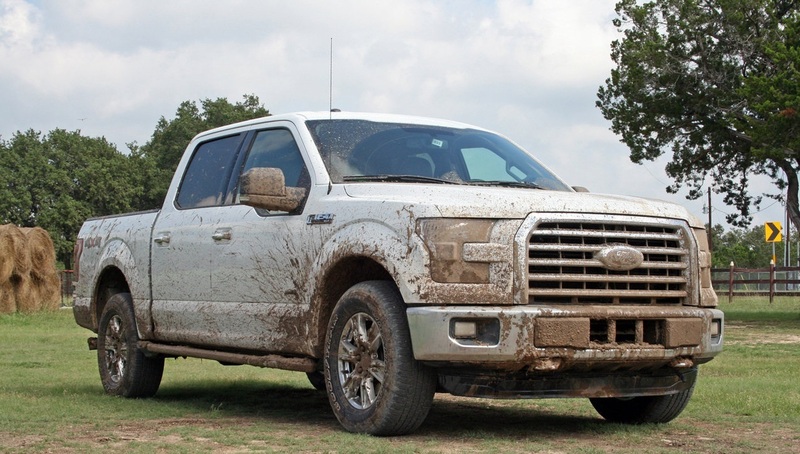 The 2015 Ford F-150 combines a high-strength military-grade alloy body and bed with the highest-strength steel frame to deliver a truck that weighs less and performs stronger than the previous model. It also serves up best in class maximum towing and maximum payload. Speaking of towing and payload, depending on series, the 2015 Ford F-150 is available with a choice of 5.5, 6.5 or 8 foot truck boxes (beds). It will have double wall construction, low tailgate height for easy access and moldings to protect finishes. Side steps are located on box sides of the vehicle under the pickup box between the back of the cab and the front wheel well. Frame mounted step extend out to provide a stable step-up point for reaching into the box. The 2015 Ford F-150 will also offer different lighting options beyond the normal standard lighting making finding things in the box and enhancing your nighttime visibility. The 2015 Ford F-150 also offers up some impressive tailgate options as well. Standard on all F-150s is the Tailgate Lift Assist which uses an internal torsion bar to reduce the effort needed to open and close the tailgate for owners of all sizes. Also available are the First-In-Class remote tailgate release, the Class-exclusive integrated tailgate step, the Power tailgate lock and rear-view and 360 degree camera. The new Class-Exclusive Box-Link on the 2015 Ford F-150 helps make the truck more productive with features such as ramps and universal attachment points that can be customized to suit your task. It’s also compatible with E-Track accessories. Have you scheduled your test drive yet? Time is running out! Call us today to schedule your test drive while we still have an awesome selection in stock! We have knowledgeable salespeople ready and willing to answer your questions and assist you with buying your new 2015 Ford F-150! 0 comment(s) so far on Check out the 2015 Ford F-150 in Conway, SC!